In a Facebook post, China Peak Mountain Resort says they are opening Friday, March 2nd. FRESNO, Calif. (KFSN) -- In a Facebook post, China Peak Mountain Resort says they are opening Friday, March 2nd. The resort plans on running the new Chair 2, Chair 6, and the Beginner Hill for Friday and will open more over the weekend. They'll be open Friday-Monday through April. 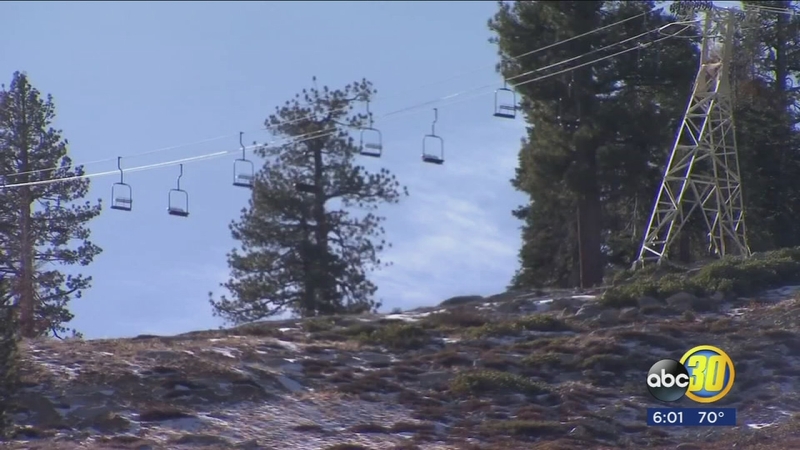 China Peak's Nick Cohee told Action News on Monday, "It's been the most challenging season anyone has seen in California. Snowpack is well below normal, possibly the worst anybody has ever seen." An unusually warm and dry January has paralyzed business at the ski resort. The upper mountain has been closed all season.